The First ‘Avengers: Infinity War’ Trailer Is Here, and It Is Everything! This is it: Every movie in the Marvel Studios line of superhero films has been leading up to Avengers: Infinity War, and the House of Ideas has finally dropped the first trailer promoting its ultimate achievement. If this movie tanks, all 18 films Marvel has put on the screen over the past 10 years will have been for nothing. But from the looks of this trailer, AIW will not tank. In fact, it looks like the biggest, baddest superhero movie ever. It looks positively epic! Not only do we get to see Peter Parker’s Spidey Sense make its franchise debut, we get a bearded Captain America, a blonde Black Widow, Thanos without his helmet, Doctor Strange, Loki wielding the Cosmic Cube… I mean, the Tesseract, the cool Black Panther — and those A-holes, the Guardians of the Galaxy! Take a deep breath. Just breathe. The international trailer, released overseas to promote Thor: Ragnarok contains not only some shocking new revelations but a distinct shift in emphasis for Marvel’s superhero buddy/road flick and surefire fall blockbuster. The latest promo clip reveals that Benedict Cumberbatch‘s Doctor Strange makes an appearance – obviously repaying the favor of Thor (Chris Hemsworth) showing up in Doctor Strange‘s post-credits sequence last fall. But Doc’s appearance here seems meatier, with Cumberbatch’s basso profundo voice bearing an ominous warning for the God of Thunder about his new destiny. 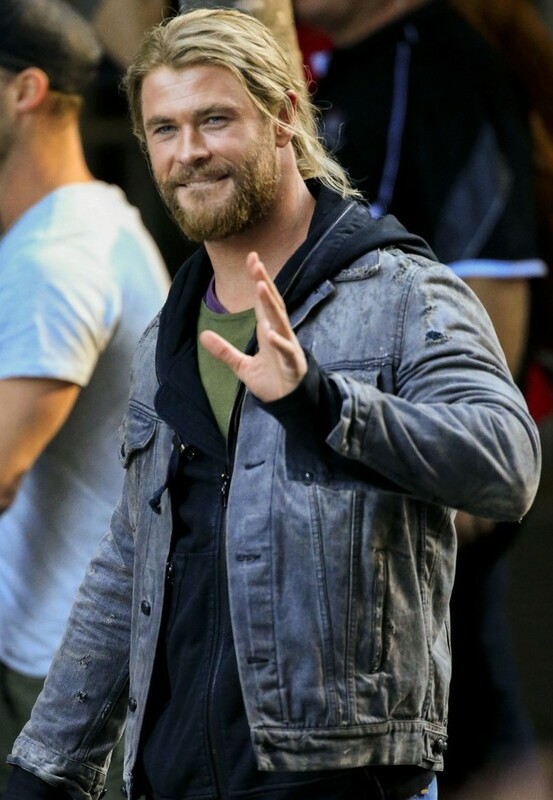 Doc is not generally known for fortune-telling parlor tricks, so the change he senses in Odinson’s future much be pretty significant. Look! A ‘Thor: Ragnarok’ Synopsis at Last! Disney has finally released a synopsis for Thor: Ragnarok that at least hints at how the movie will tie together the dangling plot threads from Thor: The Dark World, the “Planet Hulk” comic book story and the “Twilight of the Gods” tale from Norse mythology — not to mention a guest appearance by Doctor Strange, the villainous plotting of Hela, queen of the underworld, and, of course, Loki. 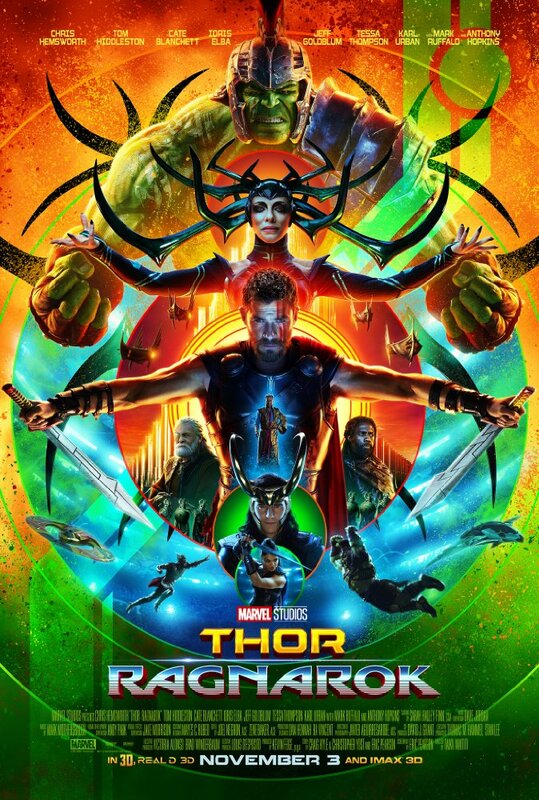 In Marvel Studios’ Thor: Ragnarok, Thor is imprisoned on the other side of the universe without his mighty hammer and finds himself in a race against time to get back to Asgard to stop Ragnarok — the destruction of his homeworld and the end of Asgardian civilization — at the hands of an all-powerful new threat, the ruthless Hela. But first he must survive a deadly gladiatorial contest that pits him against his former ally and fellow Avenger — the Incredible Hulk! After the release of the newest group poster promoting Avengers: Age of Ultron, Marvel Studios has been releasing a collection of solo images highlighting Earth’s Mightiest Heroes individually — and they are pretty impressive. A:AoU will be released May 1. 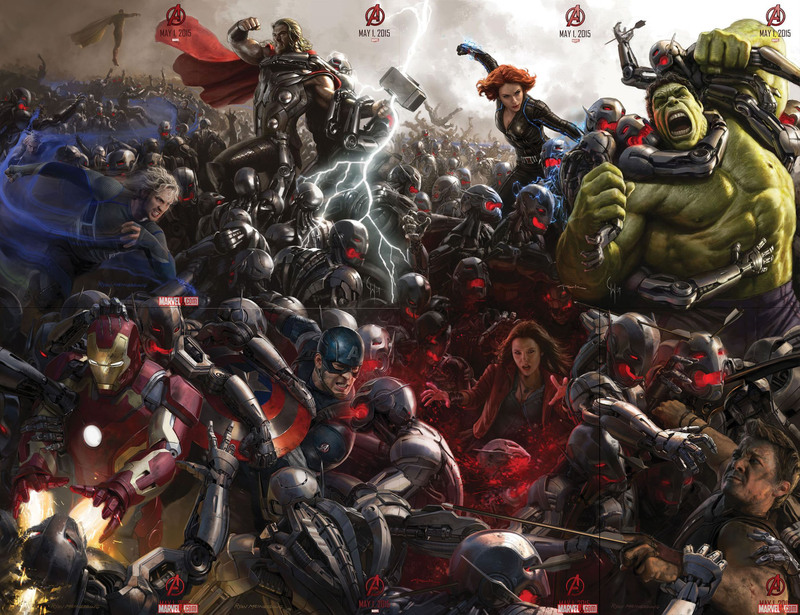 Here’s that elaborate poster for Marvel’s Avengers: Age of Ultron in all its robot-fightin’ glory. Say, is that the Vision in the upper left, way in the back, acting all float-y? I think it is! I wonder when the movie opens…? Two of Marvel Comics’ most popular characters — Captain America and Thor — are undergoing big changes in the pages of their comic books: an African-American will wield Cap’s shield, while Thor’s hammer will be toted by a woman! Following the events in Captain America #21 — in which Steve Rogers’ super soldier serum was neutralized, causing him to age 65 years in a flash — Cap’s frequent sidekick Sam Wilson a.k.a the Falcon dons the iconic costume in October’s Captain America #25 and will fight on in the new ongoing series All-New Captain America in the fall, to be scripted by current Captain America writer Rick Remender and All-New X-Men artist Stuart Immonen, The official announcement was made by Marvel Entertainment’s Chief Creative Officer, Joe Quesada, last night on THE COLBERT REPORT.